North Carolina law provides that counties must revalue real property at least every 8 years. Some counties revalue more frequently, typically on a 4 year cycle. Counties can, however, postpone previously scheduled revaluations, as often happended during the Great Recession. Because there are 100 counties in North Carolina and because each county can decide when to revalue, there is no set "revaluation schedule" one can look to to determine in what year a specific county will revalue. Can I Get a Payment Plan to Pay My Delinquent Property Taxes? 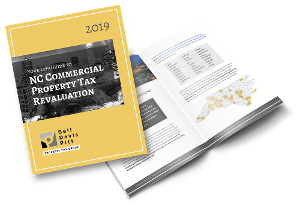 Most of what we discuss on this blog is the hows and whys of appealing a property tax assessment. Occasionally, however, once the amount of the property tax assessment has been agreed upon, the taxpayer cannot immediately pay the full amount owing. Thus the question becomes whether a payment plan can be negotiated with the respective taxing jurisdiction. Wake County's Commissioners have voted to change from an 8 year revaluation cycle to a 4 year revalaution cycle. In North Carolina, the amount of tax on taxable property is computed by applying the applicable tax rate to the fair market value of the property. This post details the valuation methods recongized by North Carolina courts to determine fair market value.